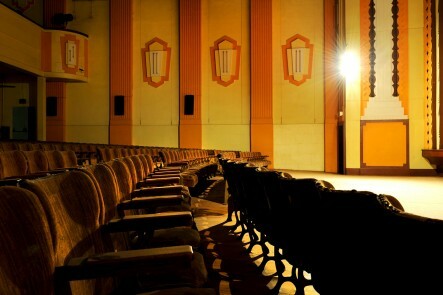 Everything inside this beautiful, historical art-deco theatre was photogenic! Walking down the aisles and up the staircases took me back to all the fun times I had in here over the years – at plays, school events and movies. In this shot I wanted to add a little drama with the light and shadows, and to me the empty chairs portrayed a sense of despondence or abandonment. What a shame my nephews may not get to enjoy this beautiful theatre the way that I did.